While Rolls-Royce is well-known as a British brand famous for its stately limousines, it is in fact best known as a major player in aerospace engineering and an innovation and technology leader parlaying its engineering skills to many other fields. Particularly in Singapore, the company maintains a civil aerospace manufacturing facility with state-of-the-art capabilities. 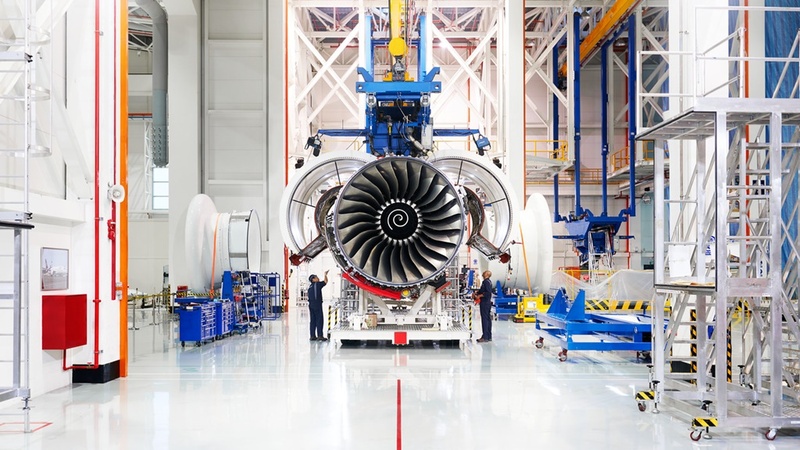 One of its manufacturing plants produces titanium fan blades used in its Trent engines for jumbo jets such as the popular wide-bodied aircraft, the Airbus A380 and Boeing 787, while another is dedicated to engine assembly and testing. The company’s key success in Singapore has been its ability to tap the advantages of digitalisation and adoption of new technologies. This has made its manufacturing processes safer, enhanced the quality of its products and increased the productivity and efficiency of its workforce. With technology only as good as the people who make use of it, we find out from Materials Engineering Manager Anna Tai, and Digital Manufacturing Manager Mohammad Ayob, how they’re playing a role in the company’s transformation journey. Mohammad Ayob’s role is in helping make digitalisation real on the manufacturing floor at Rolls-Royce Singapore. And the bulk of the work is in engaging stakeholders and sharing with them the benefits of these solutions, and how it will improve their work lives (Photo credit: Jonathan Tan). 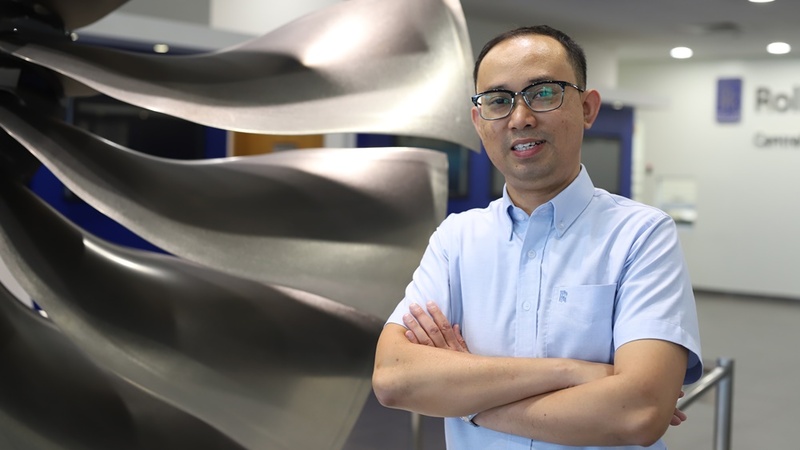 Mohammad Ayob (pictured above) is constantly exploring new ways to integrate new digital solutions to improve and enhance existing processes on the manufacturing floor as part of the company’s Advanced Fan Blade Manufacturing Programme. The fan blades are used in Rolls-Royce’s Trent engines. “What’s important in any digitalisation journey is how to win the heart of your stakeholders. It is really about educating and exposing them to the benefits. Many of the workers here have been in the industry for so many years that they may not be exposed to or have knowledge of what’s happening in other industries. “Part of my job is to bring these things nearer to our colleagues and share what’s happening with them. It is about removing filters so that workers can see what’s out there and how technology can help them as process experts,” shared Ayob. 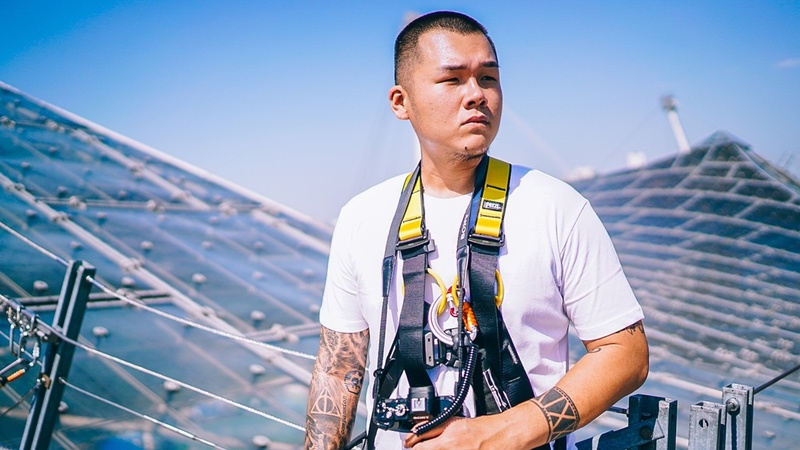 While the focus of his work is in strategising how new digital and technological solutions can help improve safety, quality and productivity, Ayob’s also explores how job scopes can be improved and new skills can be attained for the technicians and operators. “We can make use of things such as data analytics to help us look at data and explore different ways we can enhance our product quality. A key aspect on the manufacturing floor is also safety, and to be more productive, the environment first needs to be safe. This is where there are many opportunities to use robots to help make the work safer and more productive. “One example is the automatic loading and unloading of fan blades into furnaces with temperatures that can go up to 1,000 degrees Celsius. With robots replacing these roles, our colleagues are now much happier to be away from the furnace and the manpower needed for the process has been reduced from three to two. The role also used to be manual, but we’ve since been able to evolve the job to empower them with a larger role,” said Ayob. 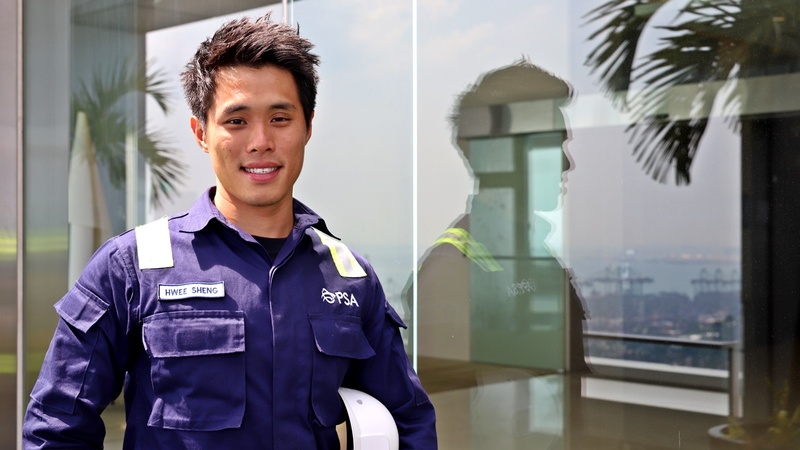 To realise the vision for change, Ayob shared that what’s most important is serving his colleagues with a heart. It is about putting himself in the shoes of the stakeholders and understanding their needs, what matters to them and engaging them with the vision of how their work lives will improve. Only then will everyone be involved and work together to make the change successful. “It is all about letting technology solve problems, rather than fitting a problem through a single technological solution. Satisfaction for me comes from being able to see how technology has helped improve the lives of others, and how it provides them with new knowledge and empowerment in their jobs,” he said. 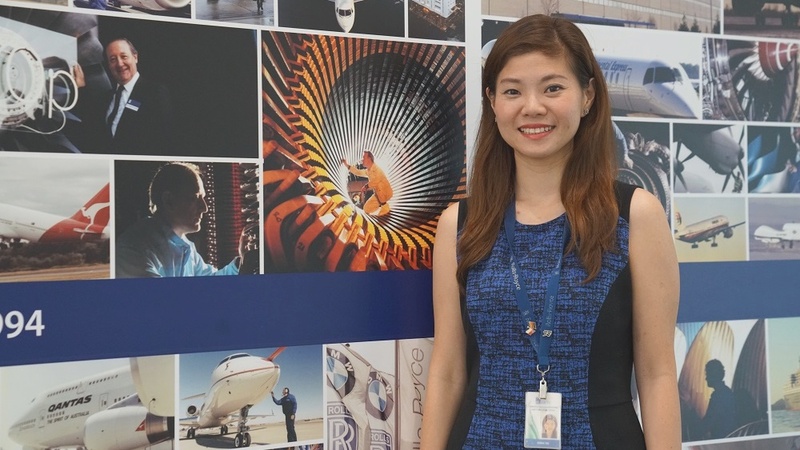 Anna Tai and her team of engineers have been making use of digital tools to make work more efficient (Photo credit: Rolls-Royce Singapore). Elsewhere in Rolls-Royce Singapore, new technologies are being used in research, development and maintenance. This is where Anna Tai and her team of engineers have been making use of digital tools to make work more efficient. “In the operational teams that I manage, they have been motivated to introduce digital thinking into the way they work. For example, one team has automated the generation of standard laboratory reports using algorithms. This initiative reduces the lead time and improves accuracy to complete an investigation. “In another team with members based across Asia Pacific, they have adopted digital dashboards to record and monitor suppliers’ audits progress so that information can be readily accessed, regardless of location. In the laboratory, IoT (Internet of Things) sensors have been used to track and monitor usage of high-value equipment to provide insights on utilisation and plan for predictive maintenance,” shared the materials engineering manager. Leading by example, Anna prefers to show, not tell, and practice what she preaches. To gain a better understanding of how the different digital tools can help her teams, she enrolled herself for workshops on topics such as Industry 4.0 and read up on trends in her own time to stay updated on current industry trends. “The company has been supportive in encouraging us to think digital and embrace technology. There is also a Digital Academy in which we can obtain online resources for self-improvement,” she shared. Admittedly, change will take getting used to and this is where Anna takes an empathetic approach. “There may be resistance from some members of the team as it may be viewed as a distraction. I try to understand the root cause of the resistance and support in removing the obstacles so that they can see that what is being initiated will eventually help them to do their work more effectively. In addition, I would be sensitive in introducing changes to the team and take a phased approach,” she explained.